if you love all things sparkly then these are the shoes for you! 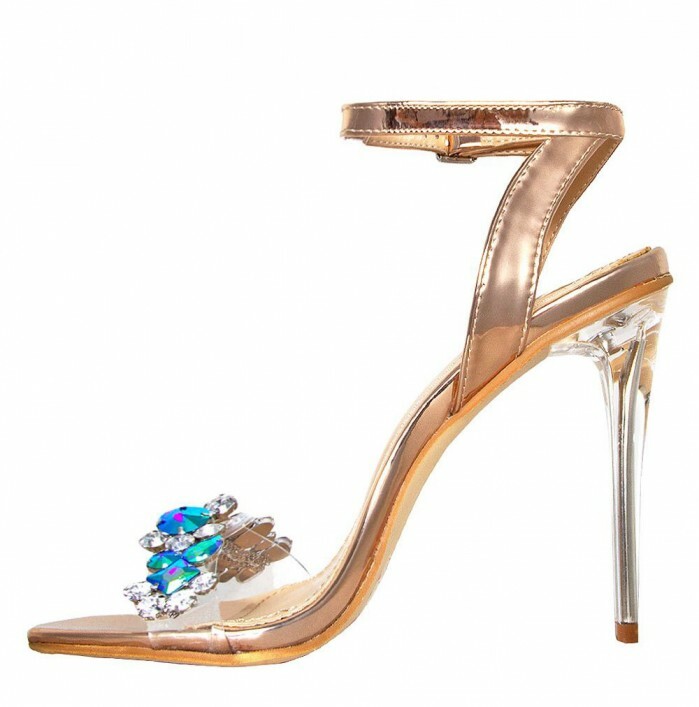 featuring a clear front strap with coloured gems/diamantes, ankle buckle fastening, and a clear stiletto heel. style them with your fave pair of jeans.